✅ SATISFACTION GAURANTEED - PLEASE NOTE THAT SELLER ID: HappyHapi IS THE ONLY AUTHORIZED SELLER OF THIS PRODUCT. If you bought your units from other sellers, we do not guarantee the quality, effect, shipping speed, as well as after-sales service of the products. 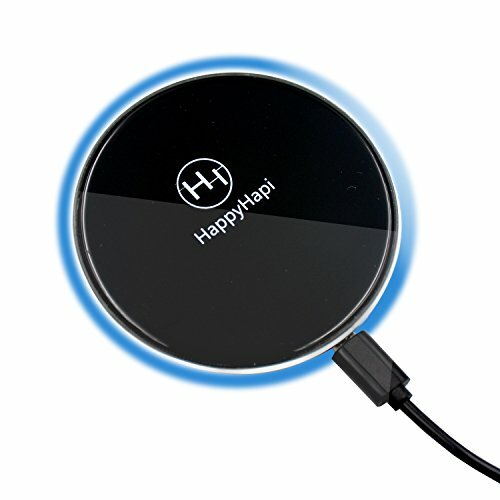 You will get 100% money back from HappyHapi if the charger does not satisfy your needs. No questions asked. 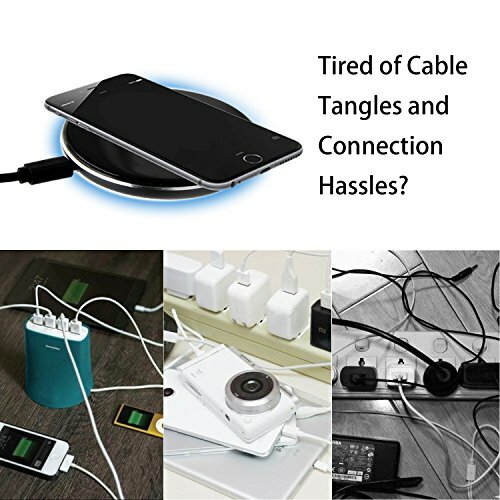 ✅BEST AND FASTEST: With this Stylish accessory, you can charge your compatible iPhone or Galaxy smartphones, and other Qi-compatible devices, without the need to plug your Device in to a wall charger or USB port. 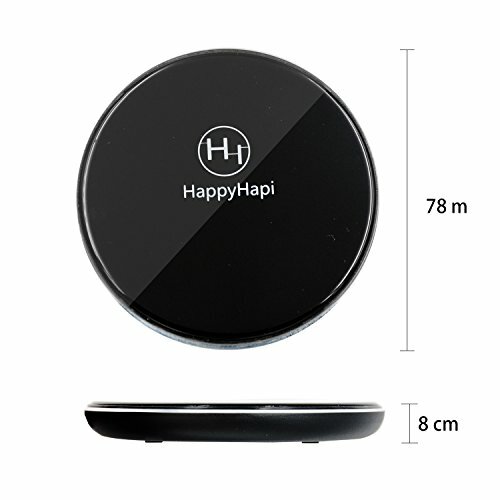 ✅EASY TO USE: The HappyHapi Wireless charging pad utilizes Qi Inductive charging technology that eliminates the need to attach a charging cable every time you want to charge your Device. 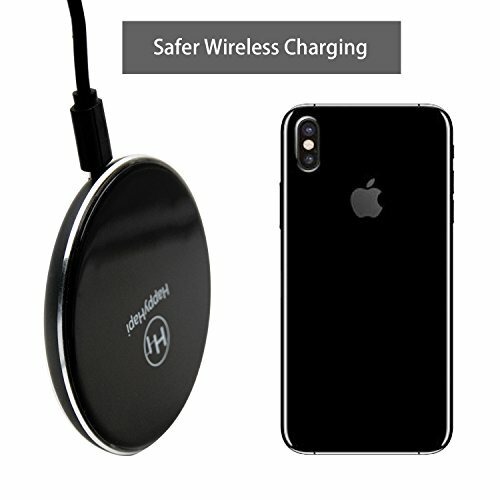 ✅WIRELESS CHARGING: Starts the moment you place down any wireless device or device equipped with a wireless cover. 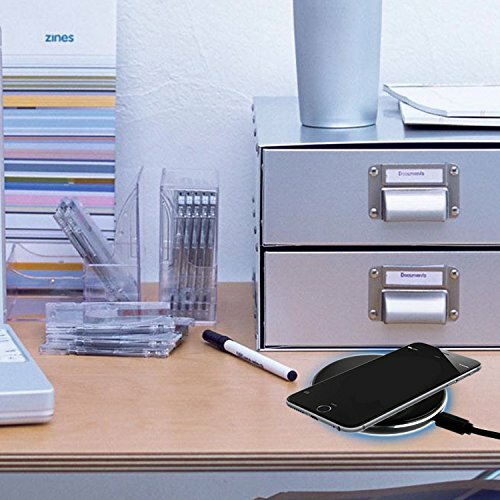 No cables or USB interface required. Input: 5V /1A- 2A; Output: 5V / 1A-1.5A. 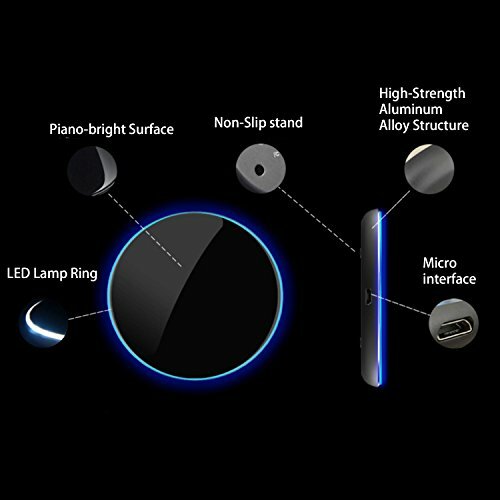 Protective cases should be removed to ensure effective charging. 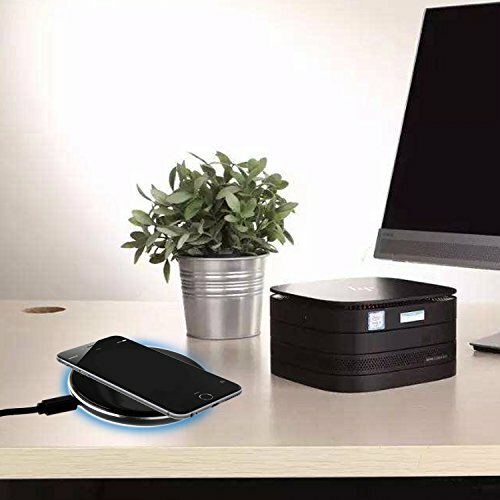 ✅ LED INDICATOR LIGHTS: Red means it's ready to charge, blue is charging, and both together let you know your device is fully charged. Blinking lights mean an unsupported device has been detected.